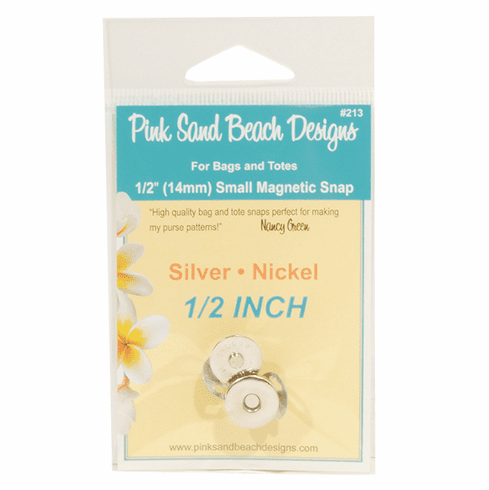 SILVER NICKEL - High quality 1/2 inch magnetic purse snap for use in purse and tote patterns (usually for pockets where a smaller snap is desired). Also for coin purses and wallets. Instructions for attaching snap included on back of packaging!